The first night of the working week often sees city-dwellers not sufficiently prepared to head straight home and cook dinner. Here are some central Sydney dining options that will keep Monday dining cheap so you can splash out still later in the week! Forresters is a Sydney city fringe staple on the corner of Foveaux and Riley Streets that has specials every night of the week. Monday offers the cheapest (and most appealing for the blokes) price-tag however, as the dish of the day is $5 steak with mash and gravy available with the purchase of any drink. Click here to see the weekly specials. 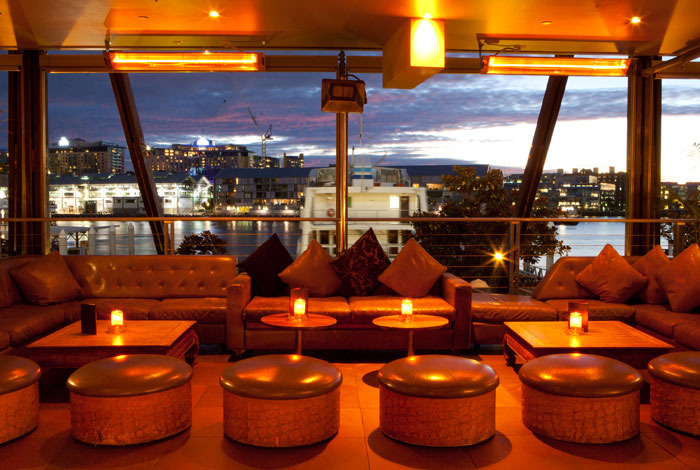 Bar 333 with its impressive red-hue is a major crowd draw in winter due to its central Martin-Place location and evening specials. Mondays see the kitchen team serving up any light or main meal on the bar menu for only $10. Click here to see the menu. Indoor and outdoor seating is available within the sports bar and lounge bar in this split level venue, and there's also a Thai-fusion restaurant upstairs called Infusion you may with to try when your wallet feels fuller again. Unlike our previous two venues (whilst still nicely designed), The Loft in Cockle Bay offers an ambience of luxury with its water views, dim lighting and deep sofas. For those who enjoy picking and licking rather than a set individual meal, The Loft is promoting their 'Soldiers and Slings' evenings Monday-Wednesday where patrons can indulge in $10 cocktails and $5 soldier canapés (served in twos). Perfect for those wanting a luxurious girlie catch up or to impress a special date, without an accompanying triple-figure bill. Why? Why wait for Tuesdays to keep a night out cheap?